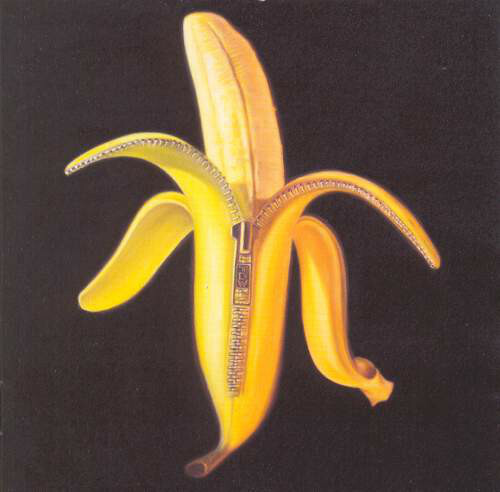 This week marked the return of The Dandy Warhols to British shores, a quarter of a century after singer/guitarist Courtney Taylor-Taylor and guitarist Peter Holmström first joined forces, a couple of friends who decided they ‘needed music to drink to’. Best known over here for the hit ‘Bohemian Like You’ – which narrowly failed to chart in the UK in 1990 but saw success a year later after featuring in a mobile phone TV advert – the Portland, Oregon outfit took relatively little time to make an impact at home. But such factors rarely guarantee longevity, Peter instead seeing their ability to survive tied to their work ethic from day one. He was in cold and frosty Antwerp when I called late last week, ahead of a date in the Belgian city which opened a brief 25th anniversary tour culminating – after further appearances in Paris, Amsterdam, Berlin, Birmingham, Glasgow and Manchester – at Brixton Academy tonight (Friday, February 1st). 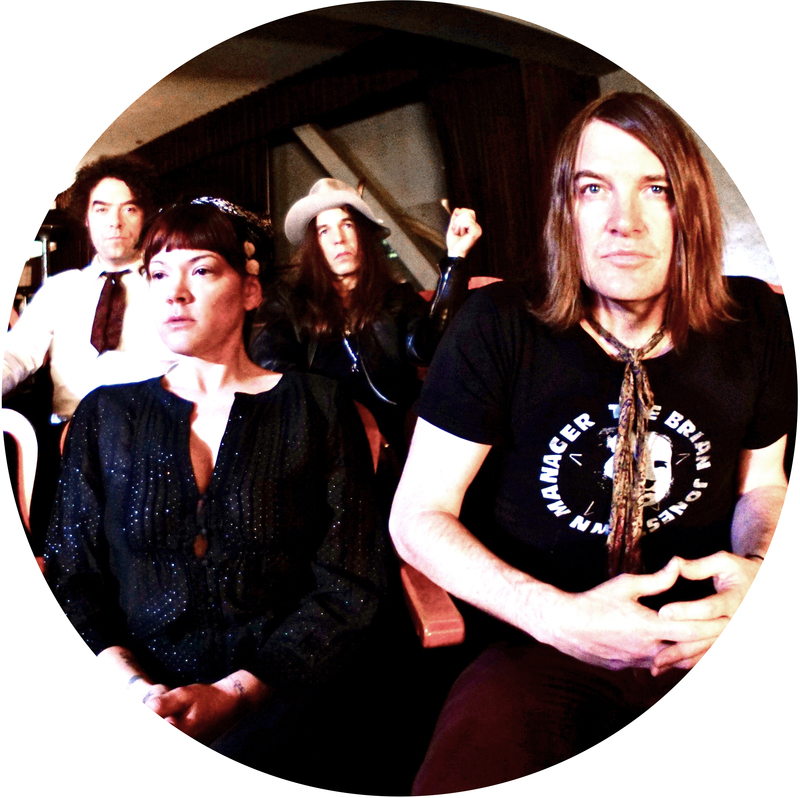 Looking forward to what his bandmate Zia McCabe (keyboards, vocals, who also clambered on board in 1994) called ‘a massive concussion of rock’n’roll a quarter of a century in the making,’ Peter continues to enjoy his travels with The Dandy Warhols. I gather you’re a keen photographer too. Will you be out snapping between shows in the locations you visit? Don’t think for one moment this is all about nostalgia. They’re chiefly looking to spread the word about a new album, Why You So Crazy, out on Dine Alone Records. You get a flavour of the new material in a single-shot 360° short film featuring Mad Men’s Jessica Paré for the single ‘Be Alright’, all the action taking place within the band’s self-run Portland HQ, The Odditorium. 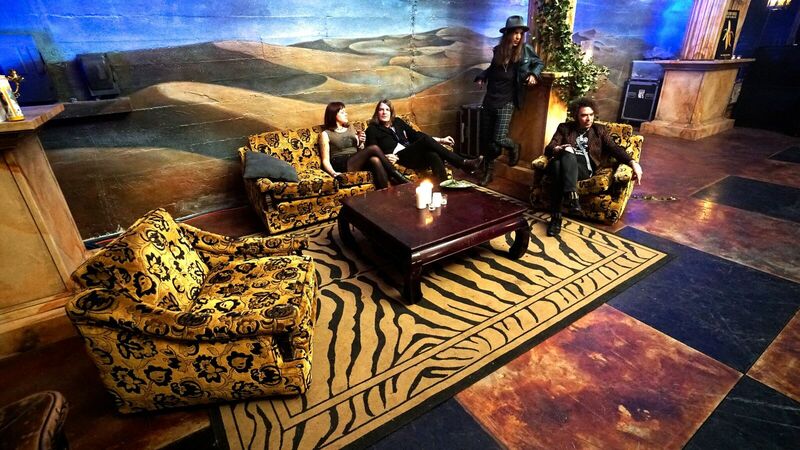 It all centres around the consumption of a magic wine, their ‘band space’ including a bar owned by front-man Courtney, who directs the film and happens to have a passion for the wine world. and it was written and conceived by Kevin Moyer, an award-winning creative whose past music projects have featured, among others, Elliott Smith, Pearl Jam, and Willie Nelson. 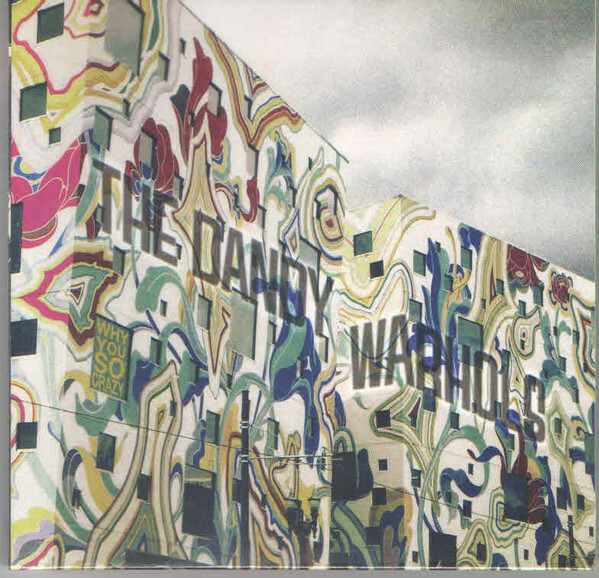 It was back in 2002 that The Dandy Warhols bought a 10,000 sq. ft. building in what was then industrial Northwest Portland, The Odditorium soon becoming not only their band headquarters and including a recording studio, but also a hang-out for friends and fellow artists. Courtney added, “We’ve always been driven to create art with emotional clarity. That’s what the world needs more than ever right now. I’ve never felt so strongly that people are losing their minds, and it’s more of them than ever before. Local politics, international politics, news programs, sitcoms, and our president all feel like the heat got turned up. The video certainly suggests a hive of activity, prompting me to ask Peter if the band’s base is always such a happening place. Have you helped bring a little employment to your home city through your HQ? Do you tend to hire it out for rehearsals to local musicians? The latter are also Portland-based, aren’t they? Lots of great bands started there or gravitated towards the city. Is there a fellowship between musicians associated with Portland? Late last year I talked to Colin Meloy from The Decemberists. Is he on your radar, and is it a close enough city to get to know like-minded musicians in town? “Sure, and my wife is really good friends with Colin’s wife Carson, and I know the band a little. I’ve known John (Moen), the drummer, forever. And Chris Funk is a good acquaintance. We know each other pretty well. While ‘Be Alright’ showcases the band’s ‘classically off-kilter psych-pop’, there’s also what they call ‘country-fried Americana’ on ‘Motor City Steel’, and ‘gothic piano-propelled rumbas’ on ‘Forever’ on the new record. In fact, there are references as far flung as Fred Astaire and Ginger Rogers, Don MacLean’s Chevy, and the church of Bowie’s ‘Modern Love,’ the 12 songs reflecting ‘surrealist visions of an alternate reality’. Arguably what we all need right now, on both sides of the Atlantic. I’ve got to talk a bit about the past though, and it’ll be 20 years in 2020 since ‘Bohemian Like You’, the track they’re identified with more than any other over here, was first released. Is that the case in America too? Despite what many might think over here, you were around for six years before your biggest UK hit. Hence this silver anniversary tour. Time flies. Some bands, for whatever reason, don’t always get those breaks, and even if they do, a label may soon let them go and they’re done for after the briefest career. How have you kept it going? Luck? Hard work? Or both? For you, there have always been side-projects, from Pete and the International Airport to Rebel Drones. 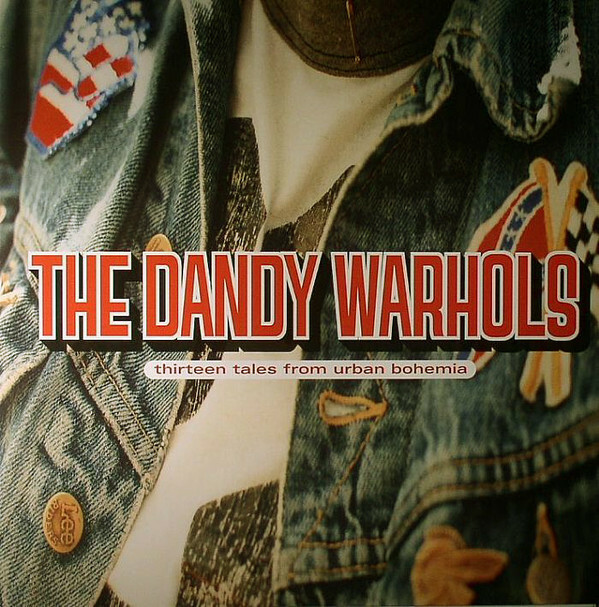 What percentage of your recent life, do you reckon, involves The Dandy Warhols? Is that a good way of keeping it fresh – a little diversification en route? ”I don’t know what actually keeps it fresh. It just sort of is. We all continually want to be doing something we haven’t done before or something slightly different to the last time. Whatever it is, it’s always this continual urge not to want to do the same thing we just did. You’re clearly still mates too, or this wouldn’t still be happening a quarter of a century later. But right at the beginning, it was just you and Courtney (Taylor-Taylor). This is a band about far more than the more recognised hits mentioned so far, and if for some reason or other you missed out, you could do far worse than start with 1998 anti-drugs anthem ‘Not if You Were the Last Junkie on Earth’, check out 2000’s Thirteen Tales From Urban Bohemia album (including the ‘Bohemian Like You’, ‘Get Off’ and ‘Godless’ singles), and watch 2004 documentary film Dig! 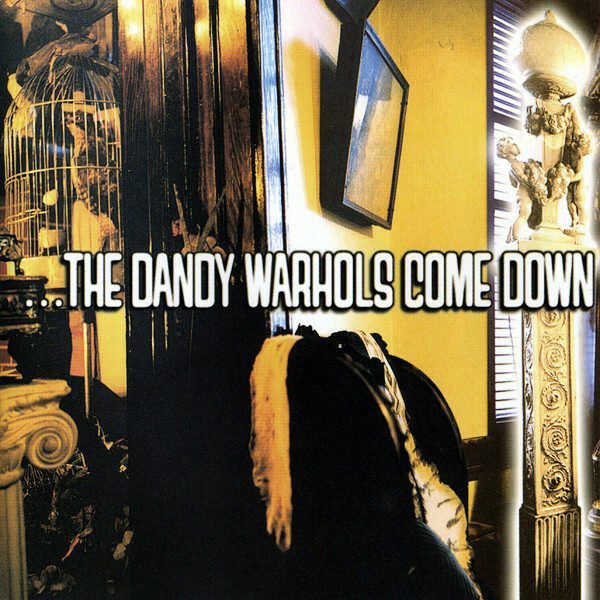 (also featuring San Francisco’s The Brian Jonestown Massacre), then exploring more in both directions from there. Before all that, the early recordings include elements of ‘shoegazing’ for these ears, not least on early single ‘Ride’, perhaps rather aptly. Personnel-wise, did it take a while for the main elements of the band to slot into place and for them to become a proper unit? “Not really. It was very quick. We got together and six months later played our first show, six months later we were putting out our demo tape and signed to an indie label. A year later that came out and we were being courted by major labels. Even so, there must have been ‘pinch me’ moments where you wondered how this had all happened. When was the last time you felt that was the case? For the record, the band is completed by Brent DeBoer (drums, vocals), who took over from initial sticksman Eric Hedford in 1998, so the band you see today have been around for a full two decades now. Going right back to the beginning though, who was the first to inspire Peter to take up guitar and get up on a stage and do it yourself? Were many of those influences from this side of the Atlantic? And you had a spell over here in the ‘80s. 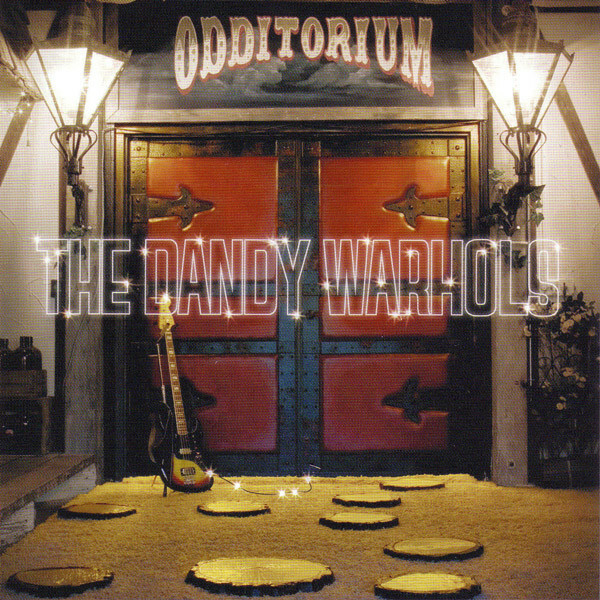 Am I right in thinking that the new record is the 10th Dandy Warhols studio album? And yet it all still seems fresh for you. Incidentally, after their London finale there’s a return home and a North American leg of the tour, taking in Atlanta, Washington, Boston, Brooklyn, Toronto, Chicago, Minneapolis, Denver, Los Angeles, Santa Ana and San Francisco. Agreeing on a set at this stage must give you a few headaches as a band, I suggested, trying to work out what to put in and what to leave out after 25 years together. Do you tend to change things around from city to city? Besides, as Zia puts it, ‘Don’t worry, we’ll figure it out and it will be legendary’. And you can’t say fairer than that. 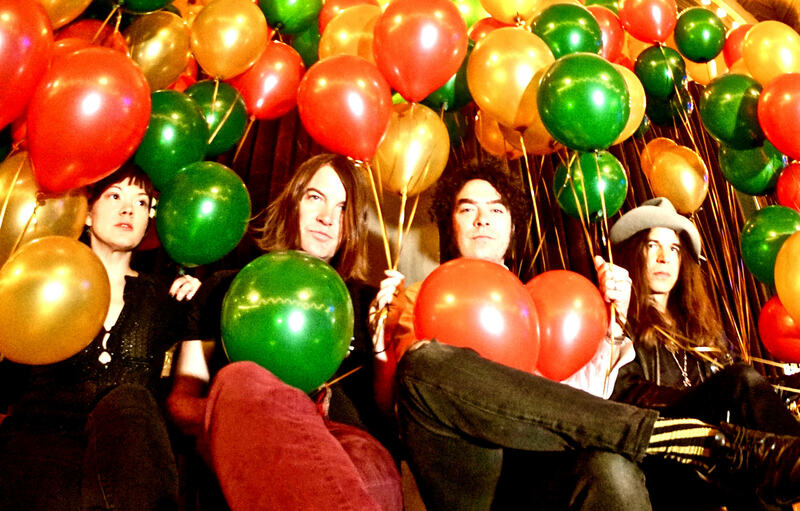 The Dandy Warhols’ 25th anniversary tour’s European leg ends at London’s O2 Academy in Brixton tonight (Friday, February 1st). For more details and all the latest from the band, try their official website and keep in touch via Facebook, Instagram and Twitter. This entry was posted in Books Films, TV & Radio, Music and tagged AC/DC, Angus Young, Antwerp, Bohemian Like You, Brent DeBoer, Courtney Taylor-Taylor, Dandy Warhols, Jessica Paré, Kevin Moyer, Odditorium, Oregon, Peter Holmström, Pink Floyd, Portland, The Decemberists, The Shins, Veronica Mars, We Used To Be Friends, Why You So Crazy, Zia McCabe. Bookmark the permalink.